Now you can easily access the far flung features and customization options of Windows with its secret GodMode feature, which works in its latest version as well. 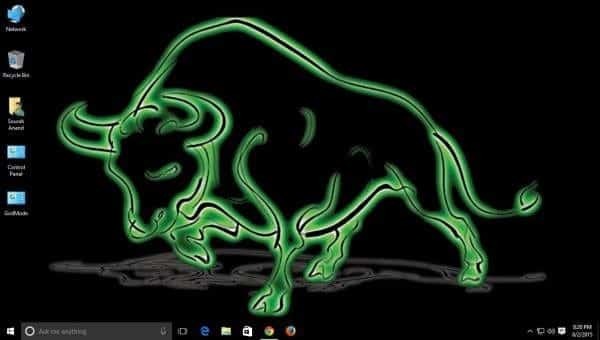 Users who love to give a more customized touch to your PCs might already be aware of the GodMode feature of Windows. Well, GodMode is not a new thing to the IT professionals and they often prefer to create the GodMode folder whenever they want an easy access to the far flung tweaks and customization options of Windows on their desktop. However, very few non IT professionals and everyday users of PC are actually aware of this legendary hidden feature of Windows and the good news is that the feature works in Windows 10 as well. 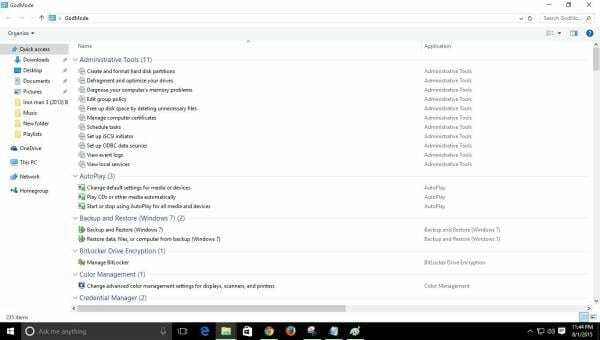 Basically, GodMode draws all the Windows system tweaks and customization options of Windows’ together into a single interface and sorts them into different categories such as Administrative Tools, Display and many more. For instance, if a user wants to adjust the resolution of monitor or make changes to any folder options or say customize the notification area in task bar then all this can be easily accomplished through God Mode folder. In short user can easily access all windows settings from one place. You can take control of all secret settings of your OS with just a few clicks. Create a ‘New folder’ in your local drive (C drive). In the desktop, right click and select New>Folder. Once you create the New folder, right click on the folder, you will get “Rename” option. The folder will convert into a icon which would mimic the look of a Control Panel.This icon has all Windows settings. Click this icon and you will see different tweaks types such as Administrative tools, Auto Play etc. You can easily move the GodMode folder into any other folder for your convenience, in case you feel the GodMode folder creates a mess on your local drive. 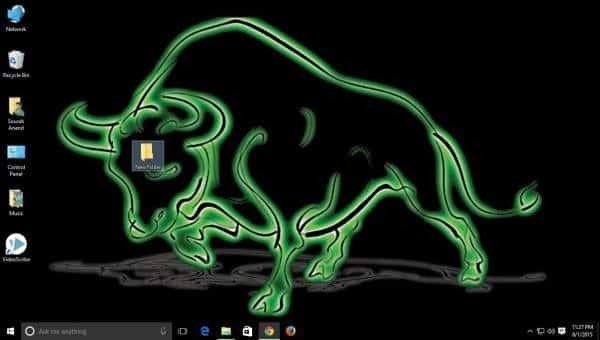 One can even pin the GodMode folder to their File Explorer in the taskbar or just put it in the Documents Folder or can even pin it to Windows 8’s modern Start Screen if you are too tech savvy. Just like any other normal folder, Windows 10 user can open the GodMode folder and customize all the PC settings pretty similar to the “small icons” options provided in the Control Panel. For example, say you want to change the screen saver of your desktop. Just open the GodMode folder, go to the Personalization section and there you will find an option which says Change screen saver, just click this option. Certain features of GodMode appearing in Windows 10 are slightly different from the elements in Windows 8.1, which in turn varies from that in Windows 7; however the overall end effect is same. For instance, when AutoPlay option is accessed through GodMode, it brings up the old Windows 7/8 AutoPlay dialog which are much more advanced when compared to those in the Windows 10 version. Suppose one does not like the name ‘GodMode’, then you can even change the name of the folder as per your liking, the only requirement here is that one cannot remove the period placed just before the brackets, or change the string of letters and numbers inside the curly braces. So you can just alter the “GodMode” portion of the string as per your liking because its the letters and numbers within the brackets which give the command to Windows and tells it what the user actually wants to see within the folder. So choose a name which you want instead of GodMode and bask into the glory of this wonderful tool. I had God mode on my desktop on Win 7 and it transferred to 10 and works just fine.